Do I need to have any teaching experience in order to come and teach English in South Korea? look good on your TESL resume. And if you are a certified teacher (in any subject) it is very likely that you will receive a pay increase. But, if you're like me, no teaching experience whatsoever, never fear. If you're a native English speaker, they will hire you. Am I expected to know any Korean before coming over there? Nope. Not a bit. In fact, most, if not all, employers don't want you speaking Korean to the students at all. They usually go for the full "immersion" experience. However, your life will be SO MUCH easier if you learn to read Hangul (it really is much easier than you think) and if you learn your Korean number systems. What exactly does it mean to "teach English" in Korea? What am I expected to do? Every teaching job is different, and with each job comes a variety of different responsibilities. If you are looking at TESL job listings, make sure that the job description you are interested in includes a detailed list of teacher responsibilities. For the most part, however, if you do get hired by any type of Korean school (private, public, etc. ), you can be sure that you will teach pronunciation, grammar, phonics, handwriting and vocabulary, based on the age and level of your students. What types of schools and/or organizations could I possibly work with? Generally speaking, there are two different types of English education in South Korea. The reason that I say "generally speaking" is because I am excluding University aged students and only discussing English education for high-school, middle-school, elementary-school and kindergarten aged students. The two different types of English education are provided through: (1) public schools and (2) private academies or 학원 (hagwon). If you are hired by a Korean public school you will most likely have a very stable contract that includes a standard pay-rate and 4 weeks of vacation (2 in the summer, 2 in the winter). You will also receive a furnished apartment (rent paid by your employer, utilities paid by you), Korean healthcare, a pay bonus for completing your entire contract and all of your pay that has been filtered through your Korean-retirement (pension) account. You will most likely work with a handful of Korean co-teachers and teach big class sizes (30 - 40 students). Here is a link for more information about the biggest public school organization in Korea: GEPIK. If you are hired by a Korean hagwon, or private academy, you may have a less stable contract (meaning that because you are working for a private employer instead of the public school system, your employer has more opportunity to try and take advantage of you) that includes a given pay-rate and 2 weeks of vacation (decided by the employer). It is customary that teachers hired by hagwons also receive furnished apartments (rent paid by employers) as part of their contract, but it is not guaranteed (double-check that job listing!). The same goes for healthcare, pay-bonus and pension--these things "should" be included in hagwon contracts, BUT people have been taken advantage of. At a hagwon you will most likely teach without the aid of a Korean co-teacher, but with much smaller class sizes (6 - 12 students). Which option is the better option? Public schools or hagwons? As aforementioned, Korean public schools usually offer you the more stable contracts. Employers with public schools usually stick to the job contracts firmly and you know exactly what to expect. Also there is the added bonus of more vacation time (4 weeks instead of 2). However, working with a public school you are pretty much guaranteed very large class sizes which can be difficult, tiring and frustrating. You also will not see your students as often and because of this and the large class sizes, developing close relationships with your students at a public school is very difficult. The hagwon, on the other hand, offers you much smaller class sizes and the opportunity to see your students with regularity, usually leading to close relationships with students. Hagwons also come with a bad reputation. There are so many different types of hagwons, run by different people, that it's difficult to make over-arching claims about the hagwon business in general. There have been many people that we know or have heard of that have been taken advantage of and left in difficult situations because of their employers at hagwons. That is not to say that there aren't any of us who have had good experiences working at a hagwon. John and I, for example, have been teaching at the same hagwon for 3 years and have truly loved our experience (not to say that we haven't had hard, difficult, frustrating, culture-shocky times, but more of that later...). In conclusion, I will say that taking a job with a Korean public school is a much more "safe" option. If you are interested in working for a hagwon just know that you are making a choice to trust your employer (and maybe your recruiter). In either case, read and re-read that contract and know all the ins and outs! What are teachers' living conditions like? In most cases your job contract will include a "furnished"" apartment", rent paid for by your employer. I say "furnished" because the word "furnished" means different things to different employers. John and I were blessed enough to receive many furnishings: bed, wardrobes, sofa, storage cabinets, washer, table & chairs and a sufficient amount of kitchen supplies. We've added significantly to our home since then, but we started out with a good deal. However, I've also visited friends' homes who have not been so adequately blessed. Generally, though, you can expect to have your basic needs met when it comes to home furnishings. I also say "apartment" because apartments in Korea and apartments where you're from may not be the same! ^^ For a single teacher coming to Korea you can expect to have something like a studio apartment: living room and kitchen and bedroom combined with a bathroom. Although I have met single teachers who have gotten much more! John and I (since we came together as a married couple) received a one bedroom apartment with bathroom and combined kitchen and living room. This apartment was much smaller than our 2 bedroom California apartment, but it turned out to be just the right size and style for us--we love it. Summary: You can expect at least a studio apartment with basic furnishings. Also, your school will usually place you in an apartment relatively nearby your workplace. Of all the teachers that I know (and I've known some) the farthest commute I've heard of is a 20 minute bus ride and the shortest commute that I've heard of is mine. John and I have a one minute walk to work (jealous? ^^). But usually you will be in walking distance of your school and other amenities (grocery store, post office, shopping, etc.). What does an average work week look like? Teaching English in Korea is usually a 5-day-a-week gig. You will find some contracts that require you to work some Saturdays, but that is unusual (if I were you I wouldn't choose to work on Saturdays, believe me, you will need a break). The average contract will require that you teach 30 hours a week and prep and/or do office work for 10 hours a week. I currently have 30 teaching hours a week but find that I can do my prep work in less than 10 hours a week. My current 30-hour-a-week schedule has me teaching six 50 minute classes per day. Scheduling is also based on your job situation. Most teaching contracts that I've seen having you teaching all of your classes in a straight block, interspersed with prepping times. Usually you will either have a morning schedule or an evening schedule. For example, if you work mornings you will usually start around 8am or 9am and finish by 4pm or 5pm. If you work evenings you will usually start around 1pm or 2pm and finish between 8pm - 10pm. Do I get to choose the age groups and levels of the students that I teach? Probably not. You obviously get to choose which job contract you accept and which employer you will be teaching for. You will most likely have a good idea of the age groups of the students that you will be teaching because your job description should include that information (kindergarten, elementary, middle-school, high-school). However, you will most likely not have a choice with any other specifics, including the levels of your students. 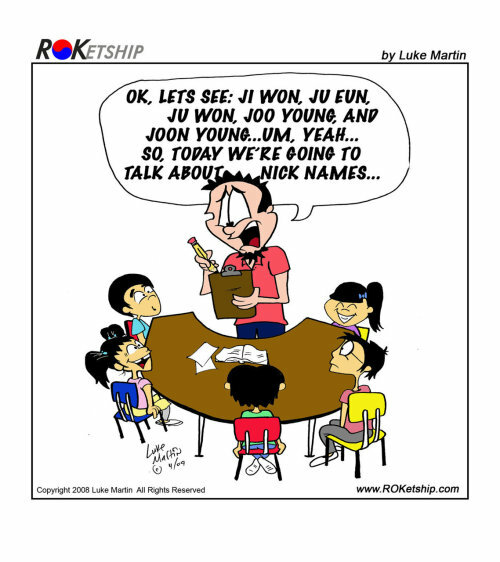 Your Korean co-workers may be able to give you some insight about the levels of your students, but you should be prepared to teach students from beginner level to advanced. The average base monthly salary is currently 2,000,000 KRW (currently 1,795.325 USD according to xe.com). If you are a licensed teacher, hold current TESL certification, or have previous TESL experience, you can receive a higher pay rate dependent upon your employer. You will not have to pay rent on your apartment, but you will be paying for your utilities. Mandatory utilities include electric and gas; optional utilities may include internet, cable TV, cell phone, and a maintenance fee towards your apartment building. ELECTRIC: Electric prices are very cheap in the winter time (less than 20,000 KRW) and much more expensive in the summer time (roughly 80,000 - 90,000 KRW) because you are constantly using your air conditioner. GAS: Gas prices are very cheap in the summer time (around 15,000 KRW) and much more expensive in the winter time (70,000 - 90,000 KRW) because you are constantly using your floor heat. INTERNET: Our internet bill is 40,000 KRW per month. CABLE TV: between 15,000 - 50,000 KRW based on which package you choose. CELL PHONE: roughly 50,000 KRW, also based on which package you choose. Your grocery shopping bills will vary depending upon your personal preferences and where you shop, but John and I spend about 100,000 KRW per week on groceries for the two of us. I should also mention that it is quite convenient and affordable to eat out in Korea. What's Korean health insurance / healthcare like? Korean healthcare is excellent [if you aren't constantly comparing it to anything else]. Obviously, living in another country and in their system is going to be different. If you are constantly expecting everything to be just like it was in your home country you will inevitably be disappointed and angry. That said, Korean healthcare is excellent. You will experience culture-shocky moments with doctors in Korea. They will tell you that you're fat just because you're a foreigner. You will find it difficult to communicate. You will be told to have acupuncture done. You will be told take pills/exercise/follow remedies/eat kimchi and not necessarily be told why. But, the healthcare standards in Korea are beyond satisfactory and you will be fine. Also, it helps that Korean national insurance is socialized medicine, meaning it's cheap. So wonderfully cheap. When I take a trip to my local doctor (for a general visit: cold, flu, muscle pains, etc.) I usually leave having paid approximately $3.00 for the visit. My next stop is the pharmacy where I pick up the prescription my doctor just gave me for another $5.00. On the other extreme, John had surgery done here in Korea--a surgery that we were quoted at upwards of $10,000 in the States--for just about $500 USD (and that included surgery, post-care, and a one night stay in the hospital!). Like I said, so wonderfully cheap. I've got some debt / student loans. Is this a good option for paying off my debt? ABSOLUTELY. Yes yes yes yes yes yes. That's the whole reason that John and I are in Korea, we're paying off our debt (and doing it quite well, thank you Lord!). Even if you only consider the fact that you will be living rent-free, think about how much you would be saving! John and I find that our cost of living is much, much lower here in Korea, but we are also comparing that to our life in California. However, living rent-free + cheap healthcare + reasonable costs of living + a responsible you = saving and/or paying off debt! It's good math! What are the negative aspects to teaching / living in Korea? This negative isn't specific to Korea but ~ living and working cross-culturally is tough, anywhere you go. You will be dealing with people who don't think the same ways that you do, and they may not be able to understand or absorb your perspectives. Be prepared to be frustrated and challenged. Korean summers are HOT and HUMID and they last a LONG time. I'm a California girl and that's not OK with me. Korean winters are freaking COLD and DRY and they last a LONG time. I'm a California girl and that's not OK with me. I'm tall (5'10"), so it's hard for me to find clothing that fits well for me here. I don't have access to all the food items and ingredients that I would like to have. Prejudices abound in Korea, just like in any other place. Be prepared to feel uncomfortable; remember you're the foreigner. What are the positive aspects to teaching / living in Korea? Korean public transportation systems (bus, metro, trains) are FANTASTIC. So easily accesible, convenient and cheap. I love living without a car here. The Korean people, culture and language are extremely beautiful. This is a very old society, steeped in many roots. I love living in a place that is so different from myself. Teaching in Korea = making great money. Konglish (broken English + Korean) is FUNNY. Living outside of your comfort zone is always a good way to grow and learn. What's the best way for me to pursue a teaching job in Korea? In my opinion, the very best way to pursue a teaching job in Korea is if you have a friend/contact in Korea already who could help you. The next best (and most convenient) option is to use a recruiter. As far as I know (I didn't use a recruiter), recruiters are free for you (the Korean schools usually pay them) but have been found untrustworthy. However, you're in luck! I know of and have worked with a recruiter that I absolutely trust and definitely recommend: Adventure Teaching. You will find that the Adventure Teaching website is easy to navigate and full of helpful information. There is a sidebar on the left with quick links for pursuing next steps: "APPLY", "FAQ's" and "JOBS". So, do you recommend teaching and living in Korea?